A celebration of life for David Josiah Lawson was held in the Kate Buchanan Room on April 20, 2017. The Humboldt State University community is mourning the loss of David Josiah Lawson, a 19-year-old student who died in the early morning of Saturday, April 15. Josiah was stabbed in an attack that has been described by witnesses as racially motivated. The University’s priority has been providing support for the students, faculty, and staff who have been most affected, as well as assistance and guidance to family members. The University Police Department is assisting the Arcata Police Department, which is leading the investigation. Office of the Dean of Students at 707-826-3504. Counseling & Psychological Services at 707-826-3236. Employee Assistance Program at 707-443-7358. Humboldt State University has granted a posthumous Certificate of Achievement to David Josiah Lawson, a 19-year-old student who died on April 15. The certificate was presented by an HSU representative at Lawson’s funeral, which was May 1 in Moreno Valley, Calif. Among those in attendance at the funeral were friends from HSU including members of Brothers United. Lawson was a sophomore studying criminology at HSU and had been elected president of Brothers United. At a Celebration of Life held on campus on April 20, hundreds gathered as family and friends shared memories and told of his warm smile and his kindness. Lawson was killed the morning of April 15 in Arcata. A suspect was arrested and is in court for an initial hearing this week. Humboldt State continues to provide support for the students, faculty, and staff who have been most affected. HSU is also providing assistance to local law enforcement in investigating the incident. 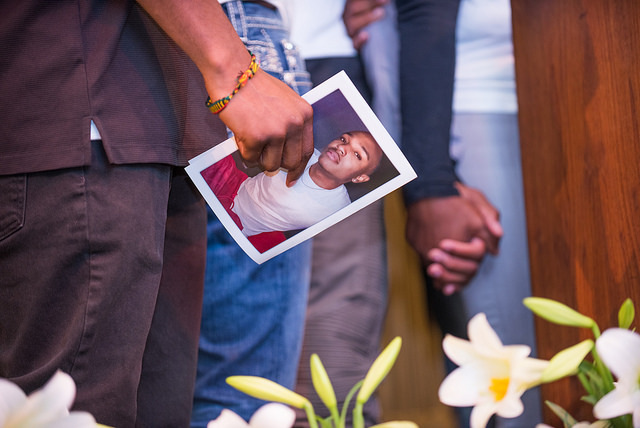 The Humboldt State community came together on campus to celebrate the life of 19-year-old student David Josiah Lawson, who was killed Saturday, April 15. Family members and those who knew Josiah remember him as a caring and charismatic person. “I’m sad and I’m heartbroken but I know that the last two years that he was here, he was loved. And I see it from everyone that’s here,” said his mother Michelle-Charmaine Lawson. Josiah and his family remain in our thoughts. Photos from the Celebration of Life are here. A celebration of life in remembrance of David Josiah Lawson will be held on Thursday, April 20, at 5 p.m. in the Kate Buchanan Room. The family of David Josiah Lawson and the HSU community will gather to to remember the life of Lawson, who died Saturday. Lawson was a sophomore studying criminology at Humboldt State University and had recently been elected president of HSU’s Brothers United. He’s remembered by his family for his warm smile and his kindness. For support: Office of the Dean of Students at 707-826-3504. Counseling & Psychological Services at 707-826-3236. Employee Assistance Program at 707-443-7358. Information and updates from the University are here. The following was issued by the Arcata Police Department. On April 15th, at 3:02am officers from the Arcata Police Department responded to the 1100 block of Spear Avenue on the report of a stabbing. At 3:03am the first officer arrived on-scene. 19-year-old David Josiah Lawson, a student at Humboldt State University, was later pronounced dead at the Mad River Hospital as a result of the stab wounds. 23-year-old Kyle Christopher Zoellner, of Mckinleyville, was arrested at the scene for homicide. Zoellner was booked at the Humboldt County Correctional Facility for PC 187 – Homicide. A knife was recovered at the scene of the crime. To date, investigators have served a search warrant and interviewed over 25 witnesses. Additional search warrants and interviews are on-going. Today, 4/18, the APD received an anonymous email from someone who may have witnessed the homicide. The email detailed specifics of the assault. The APD implores the author of the email to come forward and provide a statement to investigators. An anonymous email cannot be used as evidence. Detectives at the Arcata Police Department are continuing the investigation with assistance from the Humboldt State University Police Department and the Humboldt County District Attorney’s Office. Anyone who may have information about this incident is asked to call the Arcata Police Department at 822-2428. Humboldt State University’s Cultural Centers for Academic Excellence will host a prayer service for healing in remembrance of David Josiah Lawson tonight, April 18, from 4 to 6 p.m. in the Great Hall. The service will be held by Galilee Baptist Church. Lawson, who went by Josiah, was killed early Saturday morning during a gathering that took place on the 1100 block of Spear Ave, in Arcata. Members of Lawson’s family will be arriving in the area on Wednesday, and have asked for a campus vigil on Thursday. Student groups and a number of offices on campus are working together to plan the vigil, and more information including the location and time will be available soon. The family has also set up a GoFundMe account to raise funds for funeral and transportation services. More information is available here: https://www.gofundme.com/inhonorofDJ. Students in need of support or help related to classes may contact the Office of the Dean of Students in Siemens Hall room 211 or at 707-826-3504. For assistance any time, students can contact Counseling & Psychological Services at 707-826-3236. Staff and faculty seeking additional support may utilize the Employee Assistance Program at 707-443-7358. Many of our students, faculty, and staff have been deeply affected by the loss of student David Josiah Lawson. As we mourn his death, we will need to remember to be caring and as flexible as possible in the weeks to come. Josiah’s death is deeply upsetting for our community. Those who knew him are working through a wide range of emotions, and they need all the support we can give. At the same time, the loss of a young life under such terrible circumstances has impacted us all. We will need to draw strength from the compassion and patience of each other. Members of Josiah’s family will be arriving in the area on Wednesday, and have asked for a campus vigil on Thursday. Student groups and a number of offices on campus are working together to plan the vigil, and more information including the location and time will be available soon. Individuals from across campus who have responded to this situation with professionalism and care. Staff and faculty have worked tirelessly to provide the best possible support for our students, as well as assistance and guidance to family members. Many students have been providing support to their peers, even as they have been grieving. The circumstances surrounding Josiah’s death are still being investigated by Arcata Police, with help from University Police. Any students who may have witnessed or have information about the stabbing death of David Josiah Lawson are asked to speak with Arcata Police as soon as possible. You can give a statement on campus and campus offices can facilitate meetings with officers. With criminal investigations time is a critical element, so officers are asking students to provide information as soon as possible. If you are a victim or witness in this investigation or proceedings, you will not be subject to disciplinary sanctions by the University for related violations of conduct policies occurring at or near the time of the incident, unless the behavior involved harming the victim. A detective will be available throughout today on campus, and students can drop in at their convenience to give a statement. Students may drop in or contact the Office of the Dean of Students in Siemens Hall room 211 or at 707-826-3504. Students may also contact the office of the Centers for Academic Excellence at 707-826-4588. They may also contact Arcata Police directly at 707-822-2428 or University Police at 707-826-5555. Statement interviews can last a significant amount of time, so patience at this time is very much appreciated. Students who are in need of support at anytime can contact Counseling & Psychological services at 707-826-3236. Staff or faculty seeking additional support may utilize the Employee Assistance Program at 707-443-7358. The name of the HSU student killed early Saturday morning has been released. David J. Lawson of Perris, Calif. Lawson died early Saturday morning after suffering multiple stab wounds during a party on the 1100 block of Spear Ave.
Lawson was a sophomore studying criminology at Humboldt State University and was a member of Brothers United. He’s remembered by his family for his warm smile and his kindness. The Arcata Police Department is working closely with University Police to continue to investigate Lawson’s death. Anyone with information is encouraged to contact Arcata Police at 707.822.2428 or University Police at 707.826.5555. Arcata Police with assistance from University Police continue to investigate the death of a 19-year-old Humboldt State University student. The name of the student is being withheld while family is being notified. The incident occurred at an off-campus location. The investigation is being led by Arcata Police Department, with support from the University Police Department. HSU officials have been in touch with the family of the student, and will be offering counseling and other support for friends, faculty, and others on campus who knew him. Students who are in need of support during this time are encouraged to contact the Dean of Students office at 707.826.3504 or visit that office in Siemens Hall 211. For assistance any time, students can contact Counseling & Psychological services at 707.826.3236. Staff or faculty seeking additional support may utilize the Employee Assistance Program at 707.443.7358. On April 15th, 2017 at approximately 3:00 am, officers from the Arcata Police Department responded to the 1100 Block of Spear Ave on the report of a stabbing. When officers arrived, they found a male victim bleeding from multiple stab wounds. Officers immediately began life saving efforts. The man was eventually transported to Mad River Hospital where he succumbed to his injuries. 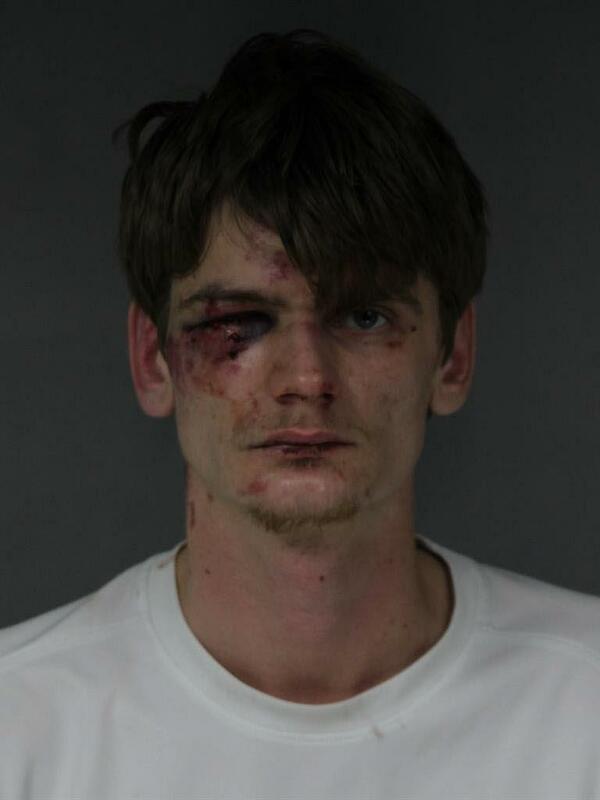 The assault occurred as the result of an argument at the party. The identity of the deceased, a 19-year-old male HSU student, will not be released until appropriate notifications have been made. A 23 year old McKinleyville resident, has been taken into custody related to the incident. I am deeply saddened to share news with you that one of our students has died after a stabbing last night. I have no words to adequately describe the sorrow of this loss. This tragedy is heartbreaking for all of us, and most especially the family and friends of the victim. Our thoughts are with them and we extend our condolences. We are reaching out to provide support and counseling to members of our University community. We will also be in contact and offering support to family members. The student’s name is currently confidential while his family is being notified. Because the incident occurred off campus, the investigation is being led by the Arcata Police Department with significant assistance from University Police. For assistance any time, students can contact Counseling & Psychological Services at 707.826.3236. Staff or faculty seeking additional support may utilize the Employee Assistance Program at 707.443.7358. A 19-year-old Humboldt State University student was stabbed and killed last night, and Arcata Police have detained a suspect. HSU officials are reaching out to the family of the student, and will be offering counseling and other support for friends, faculty, and others on campus who knew him.